The Federal Road Safety Commission (FRSC), Oyo Sector Command, has warned that anyone found transporting ram on motorcycle risked a fine of N10,000. Mr Yusuff Salami, the Sector Commander, told the News Agency of Nigeria (NAN) in Ibadan on Tuesday that the directive was part of measures put in place to ensure the safety of all road users during the Eid-el-Kabir celebration. “Anyone found carrying ram on private motorcycle or `okada’ (commercial motorcycle) will be charged for over loading and the fine is N10,000. Salami said that the command had commenced a special patrol tagged “Operation Eid-el-Kabir’’, to ensure free flow of traffic and strict adherence to traffic laws during the festivities. He said that the patrol team would ensure free flow of traffic and look out for traffic offences ranging from speeding to dangerous driving, lane indiscipline, unlatched vehicles and use of mobile phone on wheels. 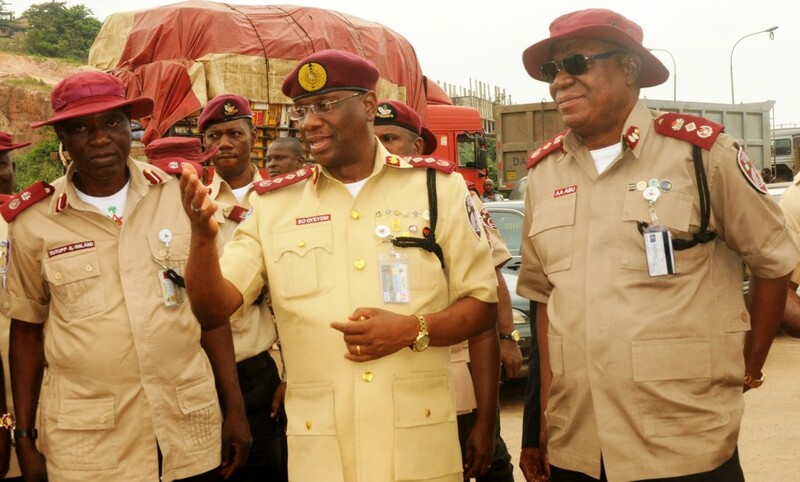 Salami said that FRSC personnel had been deployed to various routes across the state including, Lagos-Ibadan Express Way, Iwo road, Ibadan-Ife Road and Ibadan-Ogbomoso Road. The sector commander urged the people to make use of the emergency line 122, to contact the FRSC for immediate action in emergency cases. Salami urged motorists to obey traffic rules and urged passengers to always caution the drivers whenever they were violating traffic rules.